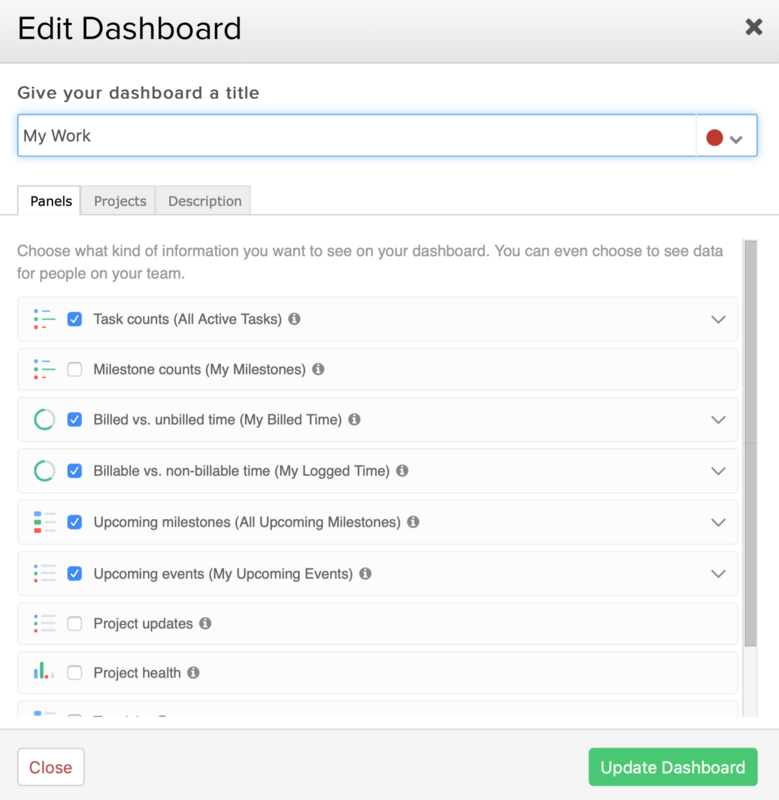 Within Teamwork Projects, you can customize your dashboards by filtering the projects and metrics that are displayed. In the Home area of your site, select the Dashboards tab in the left pane. To the top right of the current dashboard you are viewing, select Customize. Alternatively, in the main dashboards view, hover over the dashboard you want to customize. You can then click the arrow in the top right corner, and select Edit from the dropdown. 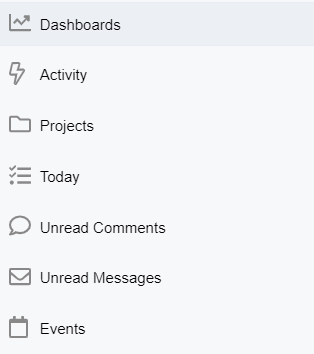 In the edit modal, you can customize which metrics and projects power your dashboard, as well as update the title and description. When creating or customizing a dashboard, you can use the Panels tab to select different metrics panels to populate it. Task counts - assigned to you, everyone, or specific people. Milestone counts - assigned to you, everyone, or specific people. Billable vs. non-billable time - time logged by you, everyone, or specific people. Upcoming milestones - assigned to you, everyone, or specific people. Upcoming events - events you, everyone, or specific people are attending. In the Projects tab, you can filter the source projects that will power the metrics panels in your dashboard.